On 14th April, 2014, some 219 school girls were kidnapped from the Government Secondary School, Chibok, Borno State. The Nigerian government was able to secure the release of 107 from captivity while 112 others are yet to be rescued. The incident which terrorist group, Boko Haram claimed responsibility for sparked global outrage and led to the founding of the Bring Back Our Girls movement. 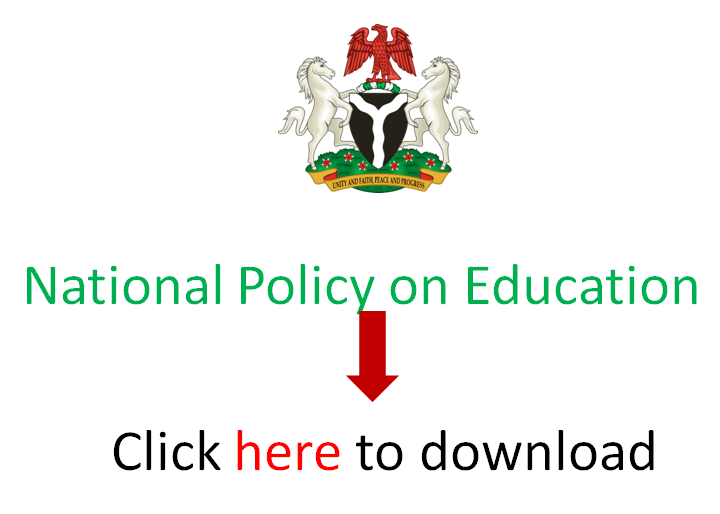 EduCeleb.com had an interview with a co-convener of the movement, Mrs Aisha Yesufu who believes that government is not doing enough to secure schools five years after. Excerpts of it are presented below. It’s been five years since the kidnap of the Chibok school girls. What has changed since then? Today, we are looking at five years of captivity. Beyond that, things are pretty much the same. We are back to the days when government felt it had no obligation to bring the girls back; where the government felt irritated that it is being reminded that it is its responsibility to protect lives and property and that the rescue of the Chibok Girls is neither a privilege nor a favour. It is their right as enshrined in the constitution of the Federal Republic of Nigeria. We are at a stage where Chibok parents are being ignored. Not a word had been said to them as we mark this fifty year commemoration. This is in a region with the lowest educational capacity and enrolment in the country. You find out that the few people who have now sent their children to school are now paying a price for that. In 2014, I remember that a father said that government used to fine them for not enrolling their children in school. Now that they’ve sent them to school and their children had been abducted, who will fine government? It is actually hard to get children, especially the girl child to go to school there. Today, Chibok parents are being punished for sending their children to school. Government is not giving them a feedback on anything being done to give them assurance of getting the girls back. Some have suggested that it is too long to keep worrying about the girls’ kidnap. What’s your message to them? As long as the Chibok Girls are in captivity, we all are in captivity. There must be a premium on the Nigerian life. There must be a value over the Nigerian life to say that if anything happens to one Nigerian, the country will sit up. As it is now, there is no value – most especially when you are poor. In Nigeria, when you are poor, you are faceless, nameless and voiceless. You are not seen and treated as a human being. That’s why at the Bring Back Our Girls movement, we say that no Nigerian is more Nigerian than any Nigerian. The apparatus of the state to protect every Nigerian must be equal, irrespective of the economic status, educational level or where they live in the cities or villages. If the Chibok Girls were children of the rich and mighty, they wouldn’t spend five years in captivity. They possibly wouldn’t be abducted because they would be well secured. Even if they were abducted, within 24 hours, they would have been brought back. In that sense, they wouldn’t be forgotten so easily. We seem to have moved on as a nation. Why should everyone care? We should realise that yesterday’s victims were once survivors. Today’s victims were yesterday’s survivors and tomorrow’s victims are today’s survivors. Today’s survivors are those of us who think it hasn’t happened to us yet. The question is: who is next? As long as we do not do anything about Chibok, it is sending signal to every evil minded persons and groups out there that they can do anything to a Nigerian and get away with it. Today, (we experience it) with all the kidnapping we see happening all over the country. The Dapchi girls’ kidnap happened, schools in Lagos and Ogun State were not spared either. It is Chibok repeating itself again and again. As long as we do nothing, it is only a matter of time before it gets to us. We must come to the realisation that injustice to one is injustice to all. In your perspective, would you say our schools are safer today? Schools are not safer. We saw what happened in Dapchi. That was practically a repeat of the Chibok Girls’ kidnap. A lot of schools (you’d see) even when you’re going around, there is nothing. Even the Safe School Initiative, you don’t know what they are doing. We are just in the hands of God waiting. It seems anything can happen. It’s almost as if the schools are not based on the government’s protection or left to the terrorists to pick on. We are yet to sit down to take lessons from what happened in Chibok. Does it then suggest that we are not learning from the Chibok incident? First, we had the last administration (led by Goodluck Jonathan) that was practically denying that Chibok ever happened and then we come to this administration (led by Muhammadu Buhari) trying to pass blame that it didn’t happen during its time. Nobody is taking time to look at lessons to be learnt from the abduction. As a nation, we have not learnt from the abduction of the Chibok Girls. Even now that an abduction has not happened, it’s not been because government has put things in place to prevent it. It’s more because a group has not decided to do so. That’s very worrisome. Children go to school knowing fully well that anything can happen to them as it did to their counterparts in Chibok, Dapchi and elsewhere. What are your new expectations from government towards securing the girls’ release? The new expectation is for government to come out with a sincerity of purpose. It should really understand that it is the duty of the Nigerian government irrespective of who is president to bring back our Chibok girls, Leah Sharibu and everyone else that is in captivity. Government is in continuum. The parents of Chibok girls and (relatives of) everyone in captivity shouldn’t be left alone. They should talk to them. It’s quite heartbreaking that government is not saying anything to the Chibok parents. You owe them an explanation. They sent their children to school in the trust of government and the children were taken away in the process. It is only mandatory that government makes them know what is happening. Nigeria should be serious about the Safe School Initiative. We should ensure that every school is secured. The parents don’t have to begin to weigh whether to save their children’s life or send them to school. No parent should be made to go through that harrowing experience. The Service Chiefs aren’t doing anything. They should be changed. There should be a reform in the military. They should fund out what the way forward is. The government is quick to say that they can’t meet the demands of the terrorists. We’ve always said that it’s either you use the military option or negotiation or a combination of two. The only option we don’t want is the “do nothing” option. That’s where the government is right now. They don’t want to do anything or talk about what they are doing. They want the whole issue to be swept away, the way we normally do things in Nigeria. Unfortunately for them, there is a movement called Bring Back Our Girls. They will not move away until every of our Chibok girls is accounted for. There seemed to have been a break in the sit-outs of BBOG recently. What happened? The Bring Back Our Girls movement has never stopped its sit-outs 5pm everyday at the Unity Fountain (Abuja). (It is) 1810 days today (since) we have been coming out to make demands of our Chibok girls’ rescue. The fact that the media does not cover it as much as it used to doesn’t mean that the movement is no longer coming out and people who are sacrificing everyday of their lives are no longer doing it. The movement has continued to do what it set out to do. Demanding for the rescue of our Chibok girls is not the business of Bring Back Our Girls members alone. BBOG is not a job or title. It’s for every Nigerian with humanity and empathy. Because of our shared empathy and the social contract we have with the government, every Nigerian should come out to make these demands. But the thing is that, let’s not wait to make demands (till) when it comes to our doorsteps and it happens to us and we now become victims. The kidnapping around now was a signal when we did nothing about Chibok that you can take away a Nigerian and nothing will happen.